It was at the recently renamed ethnography museum in Hamburg (formerly Museum für Völkerkunde, today Museum am Rothenbaum, Kulturen und Künste der Welt) that a meeting was organized on the 18th of May, 2018 by the German Ministry of Foreign Affairs and the Goethe Institut with the rather long and awkward title: From “Frosty Deposits of White Thirst for Knowledge” Towards Things and Wisdom without frontiers. Taken from an expression used by the German intellectual Carl Einstein in 1926 (“Das Berliner Völkerkunde-Museum. Anläßlich der Neuordnung”, published in Der Querschnitt), it refers to an early critique of Berlin’s ethnographic collections as trophies of white greed and it was published shortly before the author moved to Paris where he was to be famously part of the unique intellectual enterprise of George Bataille’s Documents. A policy meeting referencing transgressive critical thinking may in itself be remarkable, but it was also designed to examine how German institutions might react to African claims for restitution by bringing together major actors from the German institutional landscape with African museum professionals mainly though not exclusively from former German colonies. It was clearly framed in the opening remarks as an effort to react to the November 2017 speech, made in Ouagadougou by French president, Emmanuel Macron and his self-imposed challenge to provide the conditions for a restitution of African heritage from French and even European museums. Invited but not present at the meeting in Hamburg was the French art historian, Bénédicte Savoy, who has spent most of her career teaching at the Technische Universität in Berlin, and who together with Senegalese intellectual Felwine Sarr has been mandated with producing a report to engage this initiative in France. After providing fuel for the lively debate on the state of provenance research in Germany’s ethnographic collections and in particular in provision of the establishment of the Humboldt Forum, her nomination by Macron is exemplary of transnational emulation and mirroring, where individual actors move between national contexts of policy making and contribute to rhizomatic resurgences of critical discourses. Such constellations also exemplify the context that the authors of this report wanted to address by organizing the workshop discussed here. By bringing together several research groups involved in considering the implications and differences in how colonial legacies are dealt with in Paris and Berlin, between the creation of Jacque Chirac’s Musée du Quai Branly (opened in 2006) and the debates concerning the Humboldt Forum (set to open in 2019), the focus was particularly but not exclusively on ethnographic collections and anthropological knowledge production. The contrast to Germany with the strong centralized role of the French political system was made obvious in Damiana Otoiu’s paper who provided a multi-sited examination of the restitution of human remains from France to South Africa. 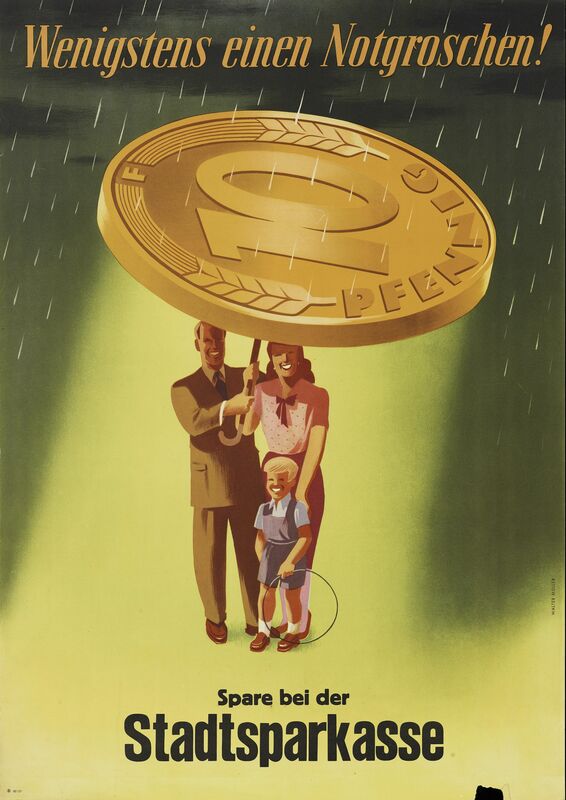 Restitution process are characterized by a priority given to political agents, whose “moral” or “ethical” claim often contrast with legal constraints and the positions of museum professionals. Discussing the South African case she suggested that restitution does not necessarily lead, as is often claimed, to the empowerment of so-called source communities but can, on the contrary, be used by the involved political parties to focus on national prerogatives, rather than on indigenous rights. In the following discussion, differences in the legal status of museum artefacts between France and Germany were underlined. Until now, restitutions in France have been characterized by their specific case by case treatment, designed to avoid as much as possible the creation of a (legal) precedent applicable to all collections in France, which are characterized by their inalienability. In Germany, however, the situation is different because every collection is administered and owned according to legal frameworks that differ from one Bundesland to another, and, before the Kulturschutzgesetz of 2016, the deaccessioning of museum objects was relatively easy. 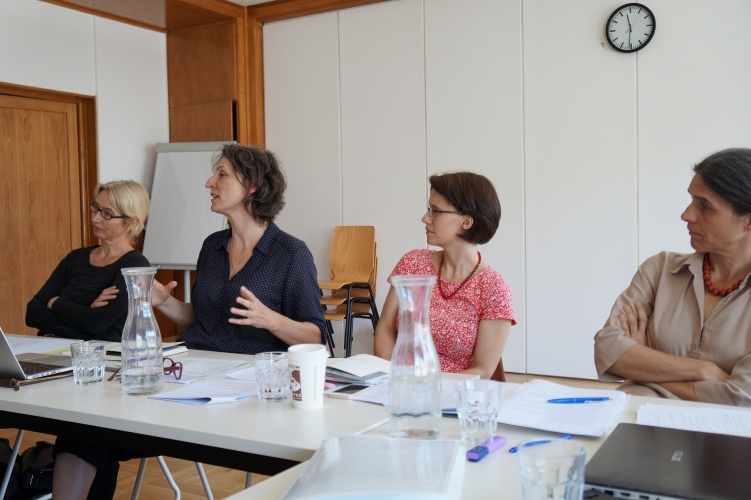 Larissa Förster, Jonas Tinius and Margareta von Oswald presented their common research in Berlin, which is subsumed under the title “Transforming the Ethnographic” and part of the larger project based at CARMAH, “Making Differences in Berlin – Transforming Museums and Heritage in the 21st Century” (2015-2020). 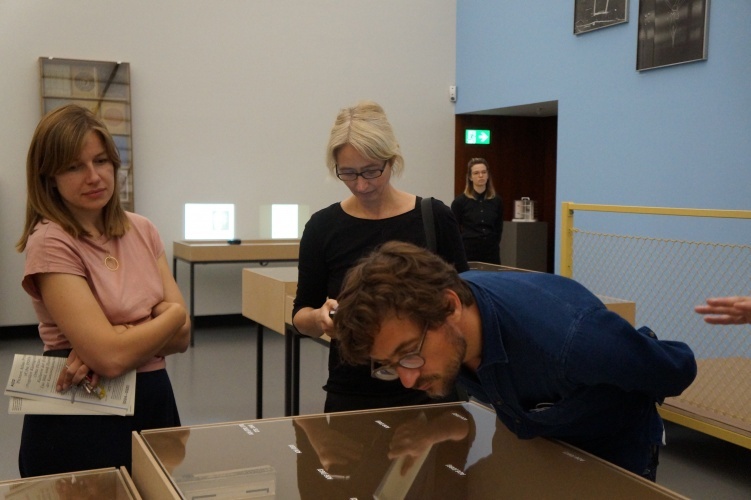 They introduced their respective research axes through ethnographic vignettes and observations of recent developments concerning ethnological museums and collections, the discourse, as well as the political and curatorial practices concerning German colonialism. This allowed them to contextualise current negotiations concerning this topic, departing from the developments within and around the Humboldt Forum and its collections. Larissa Förster questioned the relationship between the debate on restitution and provenance and resumed her impressions in stating that France was in favour of an “in order to”-approach (returns in order to make African cultural heritage accessible in Africa), while Germany rather supported a “because of”-approach (returns because they were acquired illegitimately). 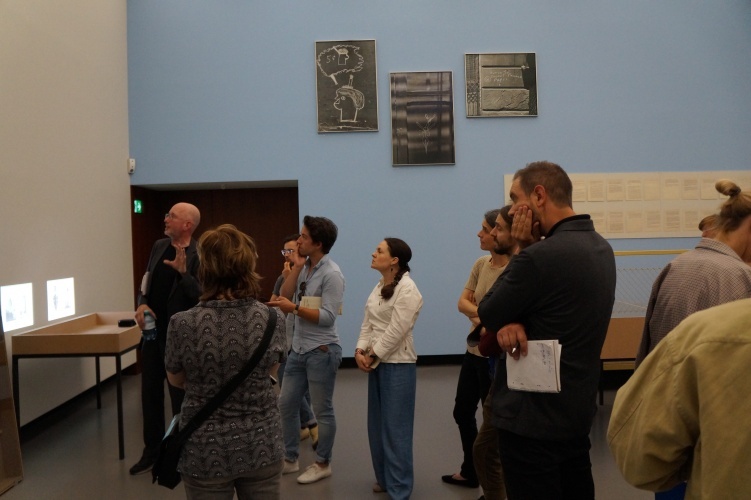 Margareta von Oswald invited the workshop’s participants “behind the scenes” of the museum. She focused on the ambivalence of curatorial positionings in complex and hierarchical constellation of institutions, unravelling the oftentimes conflicting interests of the diverse stakeholders involved. By depicting a scene within the museum’s walls in 2013, she reminded the audience of how at the time, the request at the museum by activists and academics had not been how but rather if colonialism was going to be addressed in the Humboldt Forum’s permanent exhibition. Equally departing from curatorial queries, Jonas Tinius looked at the development of a colonial archive outside of major museum institutions, namely at SAVVY Contemporary, discussing the effect of “awkwardness” produced by the objects integrated into the archive. 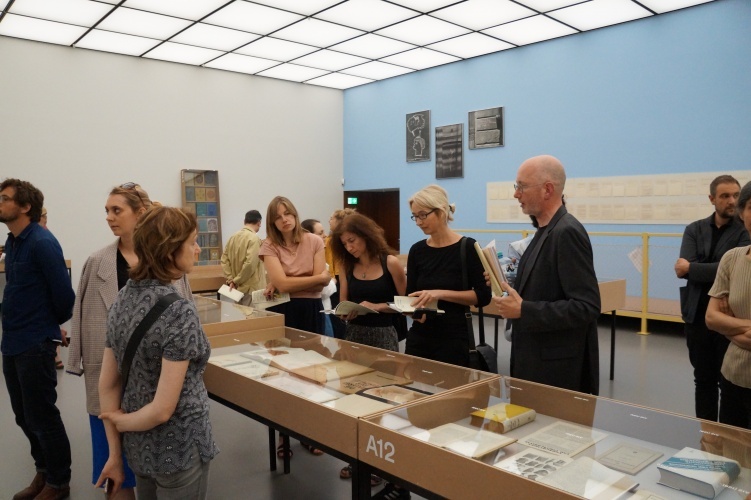 The three researchers shared methodological reflections on the collective ethnography of Berlin’s museumscape, which the “Making Differences” project is currently applying. They raised questions concerning the role of the anthropologist between activism, academic knowledge production, and politics, leading to a discussion about the different scales at which such an ethnography could operate, and finally, how to make such intimate insights ethically tenable and analytically productive. Duane Jethro, equally a part of CARMAH, gave an insight of his ethnography on activism and the changing of street names in Berlin. Certain street names have been considered offensive because of their racist designation (such as the M*Straße in Berlin-Mitte) or the celebration of colonial officers and explorers (such as the “Gröbenufer”, changed into May-Ayim-Ufer in 2009). Qualifying the processes of street name changes as tying race, memory and identity politics together, Jethro reflected on the possibilities of decolonisation in Berlin as a former colonial metropole. Felicity Bodenstein’s research focus is on the history of archaeological and ethnographic collections. Since 2017, she has been part of the project “translocations – Historical Enquiries into the Displacement of Cultural Assets” (Technische Universität Berlin) with her research project “A Twentieth Century History of Absence and Presence in Benin City: Presentations and Representations of Objects Looted in 1897″. Her principal case study concerns the so-called Benin bronzes and the visual, narrative, and interpretative changes made by museums to their display in the past few decades. Callum Fisher is a student of the European Masters on the Dynamics of Cultural Landscapes and Heritage Management. During his Erasmus+ internship, he was based at the Centre for Anthropological Research on Museums and Heritage in Berlin and contributed to the EU Horizon 2020 funded TRACES project, addressing the contentious heritage of collections of human remains held in European museums.